Featured: 35mm F1.4 Nokton, Voigtlander. Oh great, nice one Sly, way to put your love spuds in a wasps nest and and whack it with a cricket bat! Yes, a rather controversial topic. Let me start of by saying Leica glass is top quality, and I would there are loads of lenses I would love to own. Let me also state this is not a dirty move against Leica (I own Leica gear after all). However, not all of use can afford Leica glass, and there are other quality brands that make lenses for their mounts. Today, naturally, I want to speak about this in the context of the M mount. Let me quickly mention Carl Zeiss and 7 Artisans as quality lens makers for this mount, that have more affordable lenses in this range. Of course, there is also vintage Russian lenses that I would love to try at some point, so watch this space! Voigtlander lenses are high quality built lenses made in Japan (I am sure I will corrected if this is not true, it is at least true for more modern production). In my hand, my Voigtlander 35mm F1.4 Nokton lens is both tiny, heavy, and satisfyingly efficient. There is nothing plasticy or cheap about it, even the lens hood is metal. The glass produces beautiful results, reminiscent of yesteryear. Fantastic micro contrast, and I have little to no concern when it comes to chromatic aberration. Voigtlander is a great choice for those wanting to experience the classic look and feels of manual lenses. 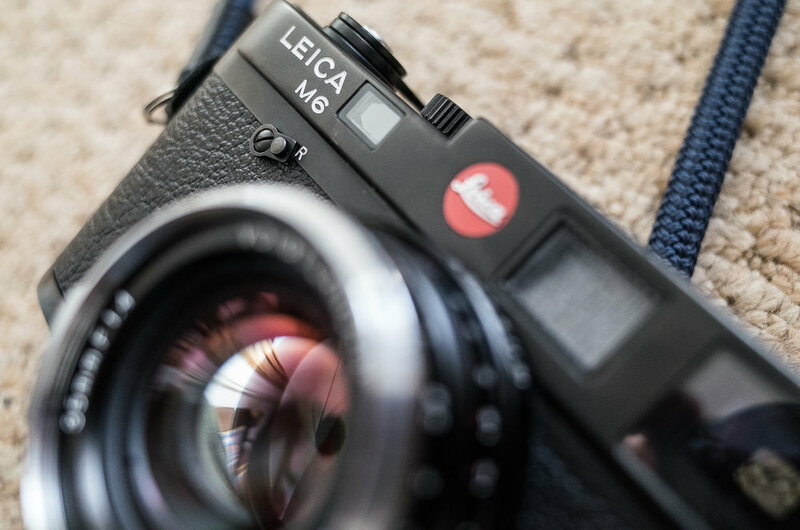 They compliment the Leica M system very well, as they are made and styled to that end. The lenses are so well priced for the build, that the rival and better other classic film lenses that can be found on the market. I have been surprised to see this 35mm F1.4 Nokton make its way higher and higher up my list of favourite lenses. It has knocked some others off of the list entirely. Now, will I feel like this about the whole range? No. I will not comment on glass I have not used, and it would be very silly to speculate too much on something I haven’t used, there is enough of that on the internet as it is! However, of the lenses I have tried, I have found to be fantastic quality. Watch this space for more Voigtlander glass reviews in the future. If you can afford to go with Leica glass and it is high on your list I say do it. You will not be happy until you have ticked that box. Even speaking for myself, I would like to try out more on my M6, once I am ready to sell some gear and purchase one. Gear acquisition syndrome is real, and the grass is always greener through the other lens (see what I did there?). Please think long and hard about choosing a lens, and if possible try them out first. Once you find a lens(es) you are happy with, you will find that it is something you can just stick to, especially on a Leica M camera.